For years, Cecilia Cunningham and her husband took their children trick-or-treating in their then-suburban Philadelphia neighborhood. Is it okay for a Catholic to celebrate Halloween? Denver, CO (Catholic Online) - "It was the kind of neighborhood outside of Philadelphia where everybody knew each other, and it was a really fun neighborhood thing," Cunningham told CNA. "People were just out talking while kids were trick or treating, and it had been really nice up until that point." That point, Cunningham recalled, was in the early 1990s, when pop culture saw a resurgence of the character "Freddy Krueger," a skinless serial killer who slashes and kills his victims with a razored glove and first appeared in the 1984 film "A Nightmare on Elm Street." Cunningham's youngest at that point was a year and a half, "and she spent the entire night crying upstairs because of all these kids coming to our door; every other kid was Freddy Krueger." That year, Halloween seemed to have taken a sharp turn towards the sinister and the dark, Cunningham said. And she wasn't alone in her observations. Several moms from the neighborhood and her weekly rosary group had noticed the same thing. That next fall, as Halloween approached, they decided that instead of trick-or-treating, they would host an All Saints Day party at their parish, complete with a potluck, saint costumes, and tons of candy. "We knew would be really important (to have candy) for kids who had been trick or treating, and it was an absolute blast, it was really so much better than we expected," Cunningham said. 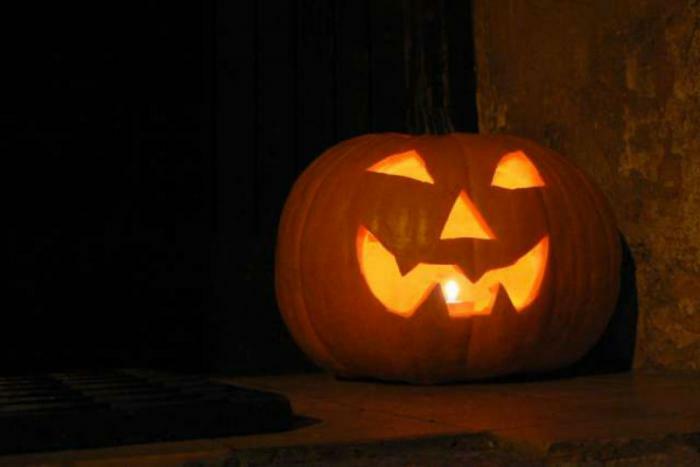 As some Catholics see darker elements of some Halloween celebrations, parents like Cunningham often face similar dilemmas - what to do about Halloween? The exact origins of Halloween and its traditions are somewhat muddled. Some historians claim that Halloween is a "baptized" form of Samhain, an ancient Gaelic festival celebrating the harvest and marking the beginning of winter - the time of year when a significant portion of the population would often die. Because of the fear of death that came with winter, celebrations of Samhain seemed to have included going door to door asking for treats dressed in costumes, which were thought to disguise the living from life-taking spirits. The Catholic feast of All Saints Days traces its origins in the Church to the year 609, and it was first celebrated in May. However, in the 9th century, Pope Gregory IV moved the holiday to Nov. 1, so that Oct. 31 would become the celebration of the vigil of the feast - All Hallow's Eve. While some historians believe this move was made so the holiday could coincide with, and thus "baptize", the holiday of Samhain, other historians believe that this may have been because the Germanic church was already celebrating All Saints Day on November 1, and the move had less to do with Samhain than previously thought. Father Vincent Lampert is a Vatican-trained exorcist and a parish priest of the Archdiocese of Indianapolis who travels the country, speaking about his work as an exorcist and what people can do to protect themselves against the demonic. He said when deciding what to do about Halloween, it's important for parents to remember the Christian origins of the holiday and to celebrate accordingly, rather than in a way that glorifies evil. "Ultimately I don't think there's anything wrong with the kids putting on a costume, dressing up as a cowboy or Cinderella, and going through the neighborhood and asking for candy; that's all good clean fun," Fr. Lampert said. Even a sheet with some holes cut in it as a ghost is fine, Fr. Lampert said. Is Halloween safe for trick-or-treating (abejorro34/Flickr)? The danger lies in costumes that deliberately glorify evil and instill fear in people, or when people pretend to have special powers or dabble in magic and witchcraft, even if they think it's just for entertainment. "In the book of Deuteronomy, in chapter 18, it talks about not trying to consult the spirits of the dead, not consulting those who dabble in magic and witchcraft and the like," he said, "because it's a violation of a church commandment that people are putting other things ahead of their relationship with God." "And that would be the danger of Halloween that somehow God is lost in all of this, the religious connotation is lost and then people end up glorifying evil." It's also important to remember that the devil and evil spirits do not actually have any additional authority on Halloween, Fr. Lampert said, and that it only seems that way. "It's because of what people are doing, not because of what the devil is doing. Perhaps by the way they're celebrating that day, they're actually inviting more evil into our lives," he said. "A lot of children are out celebrating Halloween, perhaps evil is being glorified, but we're not really sitting around and talking about why certain practices are not conducive with our Catholic faith and our Catholic identity. I think using it as a teachable moment would be a great thing to do." Anne Auger, a Catholic mom of three from Helenville, Wisc., said that while she lets her kids dress up in costumes and go trick-or-treating, she's found that she has to screen the houses as they go, avoiding ones that are decorated with scarier things. "Last year we had this experience this person came to the door dressed like this demonic wolf with glowing eyes and it was like, what on earth?" she said. "Sometimes people dress up like witches and I can understand that, but this was a whole new level. It's just so different from when we were little." She also makes sure to emphasize to her children the significance of Halloween as it relates to All Saints Day, Auger said. "We let them know that we're having a party because it's celebrating the saints in heaven, we're celebrating them, so when they're trick or treating and doing all of this we tell them it's because it's a party for all the saints." Kate Lesnefsky, a Catholic mother of seven children ranging from ages 3-16, said she thinks it's important for Catholics not to shun Halloween completely, since it has very Christian origins. "I think as Christians we're so used to being against the world, that sometimes we shoot ourselves in the foot, even though it might have been something that actually came from us," she said. "But then we lose the history of it, and we think, 'Oh well this is the devil's day,' just because some people say it is." Lesnefsky said she lets her kids choose their costumes for trick-or-treating, as long as they're not too scary or demonic. The next day, her children go to Mass for All Saints Day, and the family uses it as an opportunity to talk about what it means when someone passes away, and what it means to be a saint. "I have a sister that died when I was 19, so we talk about different people that we know in heaven, or my grandparents, and we'll talk about different saints," Lesnefsky said. And while haunted houses and horror movies are off limits to her children, Lesnefsky said she thinks Halloween is an important time for Catholics to celebrate and be a witness in the culture. "As Catholics it's important that we don't become fundamentalist Christians, I think that can be a detriment to our faith," she said. "If we are negligent of knowing history, then we don't even know about things that could be life-giving in our culture." This article was originally published Oct. 31, 2015.